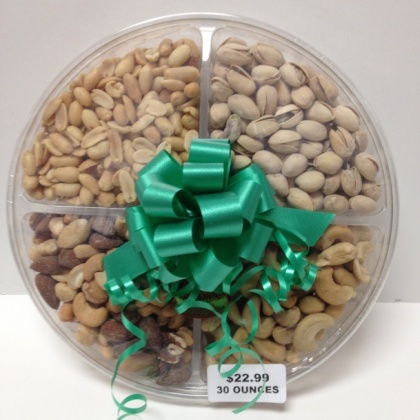 Assorted nut tray has salted mixed nuts, jumbo salted peanuts, California salted pistachios and our award winning jumbo cashews salted. We roast our own cashews and peanuts. Approx 9.75 inches in diameter and 1.75 inches tall. Net weight 30.75 oz.